The McShin Foundation is located in historic Richmond, Virginia. The organization’s mission is to heal individuals and families dealing with the problems associated with substance abuse. The Foundation uses a peer-to-peer recovery support services system which employs individual with a substance abuse disorder to educate those individuals new to recovery. The McShin Foundation has a 15,000 square foot recovery center and also provides residential options during the recovery process. Beyond the Foundation’s grounds, McShin also reaches out to local businesses and institution willing to partner and provide services such as women’s therapy, employment opportunities, faith-based studies and many other resources from providers in the Richmond, Virginia area that will assist those individuals to recover and successfully integrate back into society. The McShin Foundation also focuses on prevention through outreach programs in educational settings. Through these activities, the McShin Foundation seeks to broaden the conversation about substance abuse disorders and the opportunities for peer coaching, training and recovery options. The McShin Foundation has a long history of honors going back to 2004 when the Foundation was an Honoree at the National Council on Alcoholism and Drug Dependence’s 60th Celebration, “Stand up for Recovery Event. Since then, the Foundation has a long list of awards including, 2016 – Richmond Times-Dispatch Person of The Year Honoree; and in 2006 the Foundation was recognized by the Betty Ford Institute for its work with Alcoholism. Most recently the Foundation was recognized with the 2017 – Young Nonprofit Professionals Network Boss of The Year Award. Residential services provided by McShin require the attendance of at least 14 12-step meetings Narcotics Anonymous and Alcoholics Anonymous each week. Further, residents must participate in all recovery related and relapse prevention groups daily. Peer-to-peer recovery support activities and chores are also required daily. Residents must also attend weekly fellowship dinner, recovery worship or church services as part of recovery support. McShin also requires residents to submit to random drug screenings. A relapse is grounds for immediate eviction and referral to a non-McShin housing unit. McShin also enforces a 10 pm curfew for the first 30 days of recovery. A link to the McShin Foundation Housing Contract can be found on their website. The McShin Foundation’s approach to recovery is a social approach based upon an individual who is new to recovery gaining support and guidance from an individual who has gone through the recovery process. McShin’s peer-to-peer system provides daily interaction with someone who understands the process and can provide support and valuable insight to someone who is struggling to get through the program. McShin believes the first 30 days of the recovery process is critical and intensifies the process by enforcing a curfew and requiring daily interactions with staff, faith-based activities, and mandatory attendance at Narcotics Anonymous and Alcoholics Anonymous 12 step programs. The McShin Foundation’s 2017 Annual Report cited income for the organization at just over $2.1M with over 45% of the revenue coming from Entry Fee to the Foundation’s programs. Donations accounted for more than 21% of the total revenues and Weekly bed fees accounting for 14%. The report also sets total expenses at nearly $1.6M and cited salaries at 37% percent of total expenses. Additionally, approximately 15% of total expenses were allocated to items such as Doctor’s visits and medication, Groceries, Medical Detox, and Meals. McShin also requires participants to sign documents acknowledging the Foundation does not provide any type of refund. The “no refund” policy is available on the facility’s website. McShin also requires program participants to sign a McShin Foundation Contract. The McShin Foundation also requires program participants to sign a “Release of Monies” which gives the Foundation the right to have up to 80% of the participant’s paycheck signed over to the McShin Foundation acknowledging the participant owes for rent or entry fee dues to McShin. The “Release of Monies” document can be viewed on their website. The McShin Foundation has been accredited by the CAPRSS, also known as the Council on Accreditation of Peer Recovery Support Services. This institute is one of only nine in the United States that have been accredited by the CAPRSS. Full residential services are available for patients who qualify. The residential programs offered by the foundation provides 24/7 monitoring of all patients, along with random drug tests. The programs also give the patient access to Alcoholics Anonymous and Narcotics Anonymous meetings each week to provide them the support they need to recover. Medication and church services are provided on a weekly basis, along with a fellowship dinner. The McShin Foundation uses a Peer-to-Peer approach to aid victims suffering from Substance Abuse Disorders. The organization focuses on an intensive initial thirty days of compulsive intervention and peer support along with immediate discipline for re-offenders. 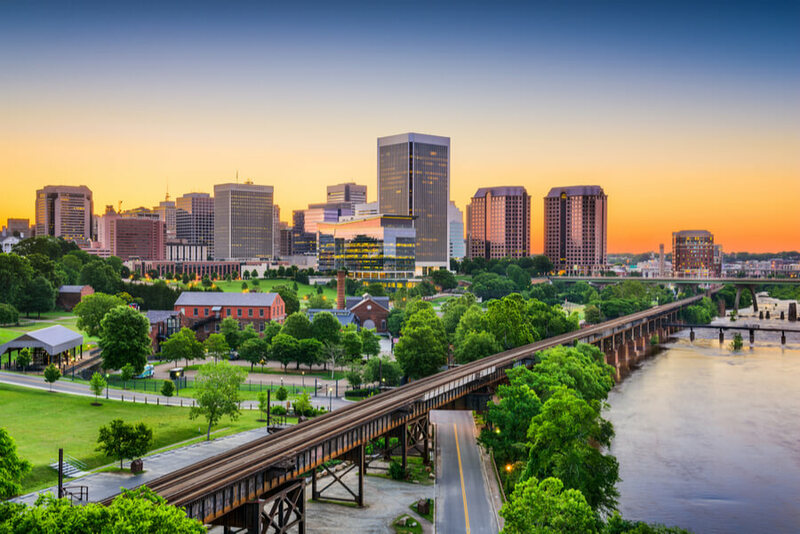 The Foundation is well regarded in the Richmond, Virginia area and has support from the local community in the form of in-kind services and monetary contributions to the Foundation. The Foundation has a well-rounded Advisory Council with a diverse set of skills to assist the Foundation’s Board of Directors and staff with executing the mission of the Foundation. John Shinholser serves as President of the McShin Foundation. Shinholser is a Marine Corp Veteran who has dedicated his life to helping individuals with substance abuse disorders. Honesty Brackett Liller, CPRS, is the Chief Executive Officer of the McShin Foundation. Liller is responsible for the day-to-day operations of McShin, as well as, community and advocacy events. Jesse Wysocki is the Chief Operating Officer of the Foundation. Wysocki is a Certified Peer Recovery Specialist and Peer Recovery Coach.